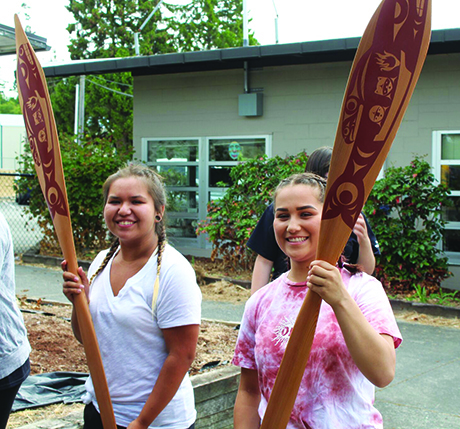 The week of July 9-13 was full of pleasantly warm and sunny summer days in the Pacific Northwest. 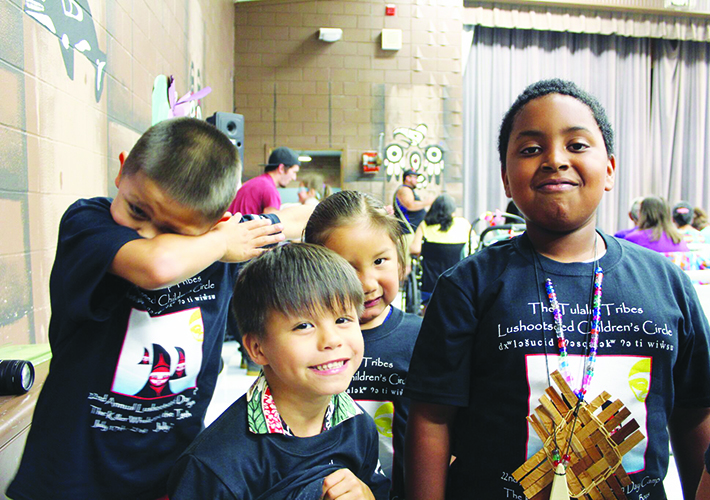 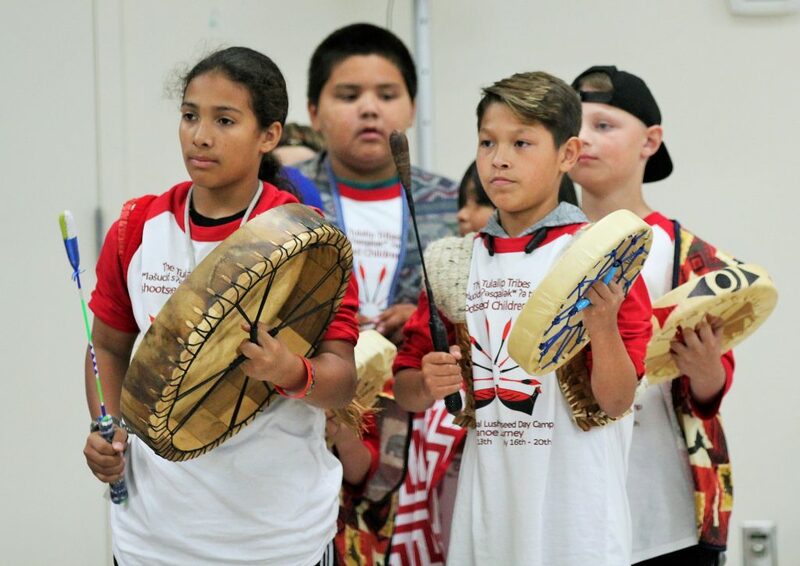 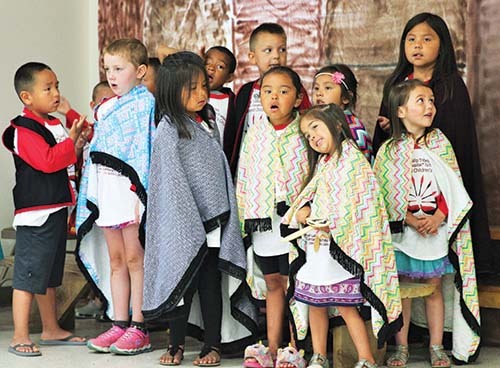 Inside the Kenny Moses Building, even more beams of sunshine could be found radiating from the energetic faces of 58 children participating in the 23rd Annual Lushootseed Day Camp, week one. 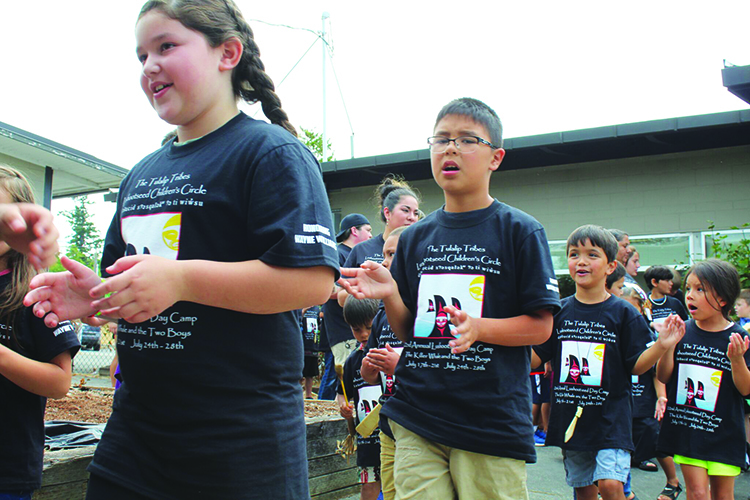 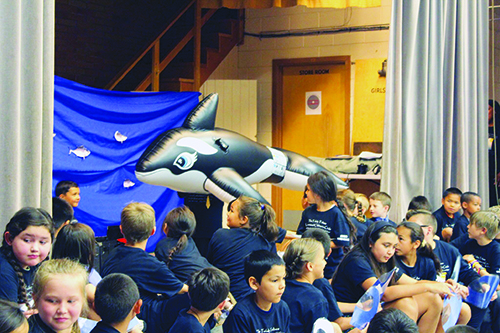 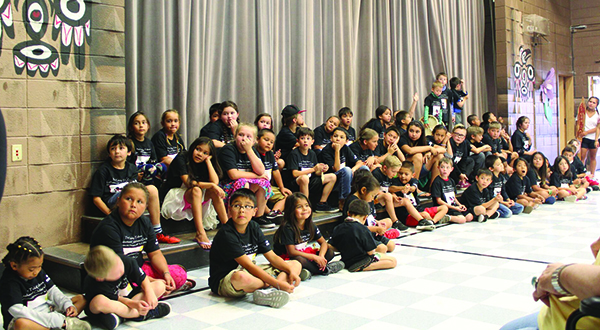 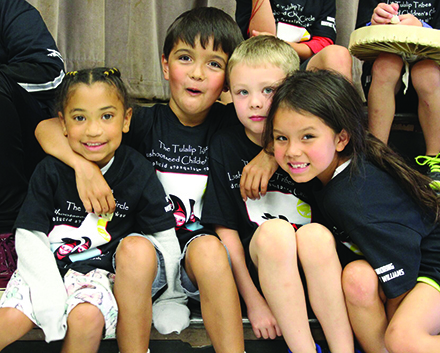 The closing ceremony for week one’s camp took place on Friday, July 13 at the Kenny Moses Building. 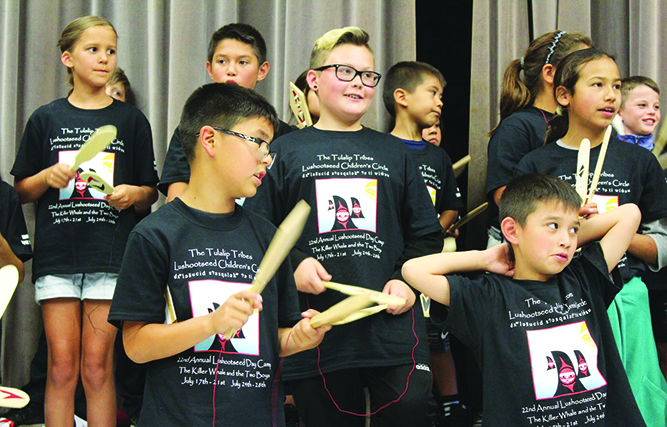 The joyous, young play-performers made their theatrical debut to a large community attendance, as family and friends came out in droves to show their support. 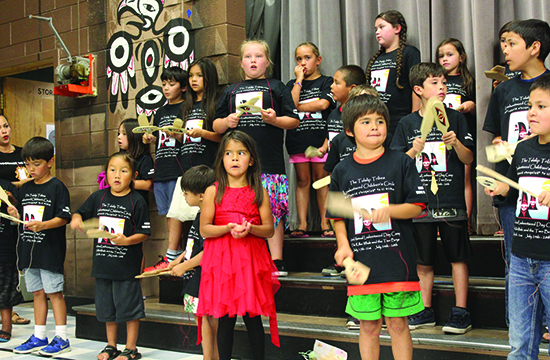 “We would like to thank the children for all of their hard work and efforts,” proclaimed Language Warrior Natosha Gobin during the play’s opening. 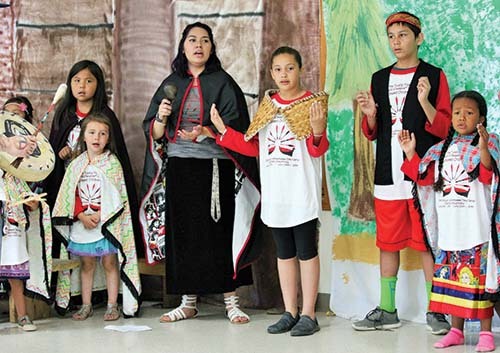 “They attended camp for just one week and learned so much about their culture, traditions, language, and more. 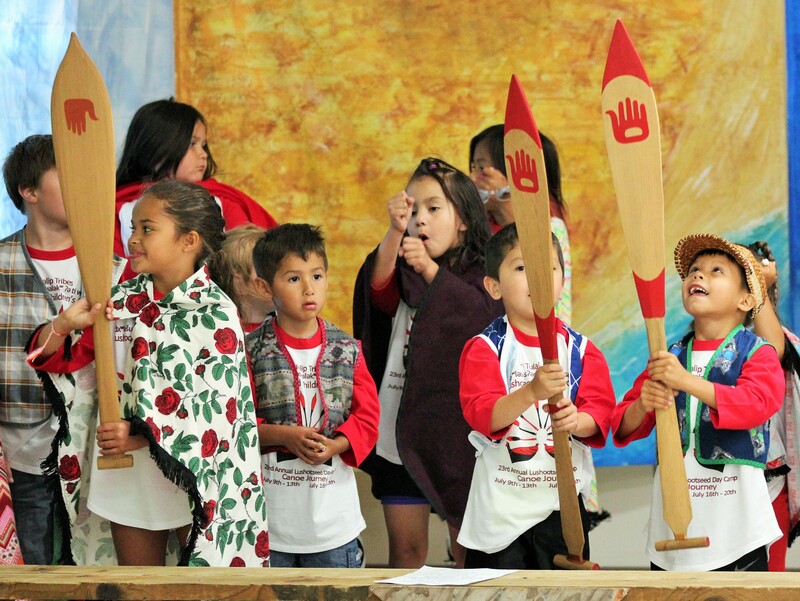 They do not hesitate to step up and share their teachings. 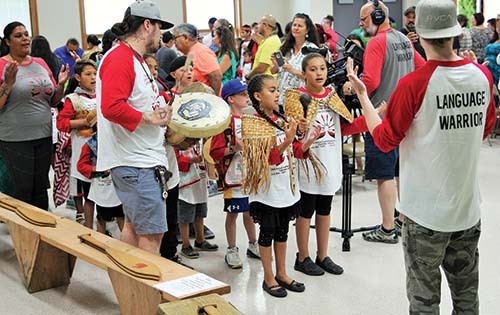 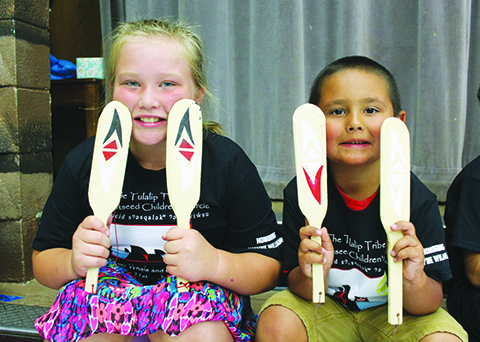 After the youth performed their rendition of “Mini Canoe Journey” and the ceremonial witnesses had shared a few words, there was a giveaway. 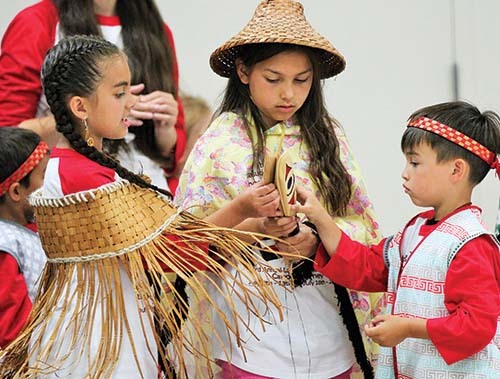 The camp participants gave handmade crafts to each and every audience member, which preceded a buffet-style lunch featuring salmon.